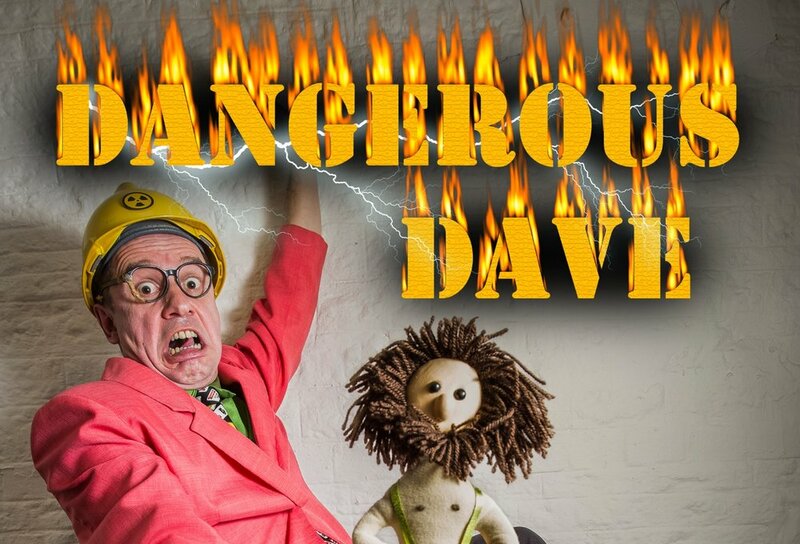 Today we’re primed to bring you an afternoon of highly entertaining puppet pandemonium with Noisy Oyster and their production ‘Dangerous Dave’. Infinitely more 'daft' than 'dangerous' Dave and his ridiculous sidekick 'Herbert Lemon' present some of the most mind bendingly silly stunts ever performed... ever. Marvel as this miniature superhero fights his way out of a wet paper bag, climbs the slippery pole of peril to plunge into a domestic food processor, escapes from the pickled egg jar of DOOM ...and becomes the fearless inhuman Cannon Ball! Plenty of laughs and crazy capery awaits all ages. I have seen in a long time"
Please Note: Make sure to choose the correct show time from the drop down menu on the ticket link. Thank you.